T-bone accidents are crashes that resemble a “T” shape or right angle. They often occur when one driver runs a red light or stop sign in an intersection and hits the side of another vehicle. These are the most dangerous types of accidents, often resulting in serious injury or death. If you or a loved one was a victim of a T-bone accident, you may be entitled to compensation to cover medical bills, lost wages and other damages. An experienced personal injury lawyer can assist with your claim. At Chambers & Noronha, we are dedicated to providing strong personal injury representation for all types of claims, including those involving T-bone accidents. We help clients throughout Southern California to obtain the financial recovery they deserve. T-bone collisions are typically more severe because the impact is on either side of the car, rather than at the front or back bumper. The side of vehicles is less able to absorb the force of a crash, causing a greater chance of injury to the driver and passengers. 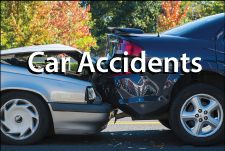 Our attorneys understand these types of accidents and the severity of the injuries they produce. We will work with medical professionals, accident reconstructionists, economists and other experts to build a strong claim on your behalf. Our goal is to help you obtain the best results possible. Don’t wait to obtain the legal representation you need for your injury case. Call us today at 714-426-9524 or send us a message using the form on this website. We offer initial consultations with our Santa Ana attorneys for no charge and with no obligation. No fees until we obtain a positive outcome to your case.